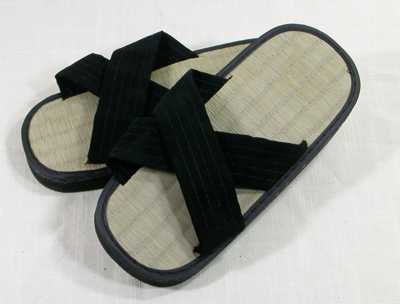 Zori sandals are great footwear for the dojo. They easy to put on and off when leaving and entering the training floor. Traditional Y style can be used barefoot or with split toe tabi socks. X style have the advantage of being able to be used with normal socks. 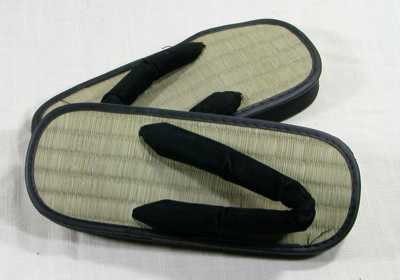 Both styles have rubber soles and tatami mat tops. Japanese shoe sizes are the same for both men and women. This chart US shoe sizes to Japanese shoe sizes and European, also we took inch and centimeter measurements of the the shoes too. On the price list shoes are listed in European sizes.